Pippin’s grandmother has some upbeat advice. 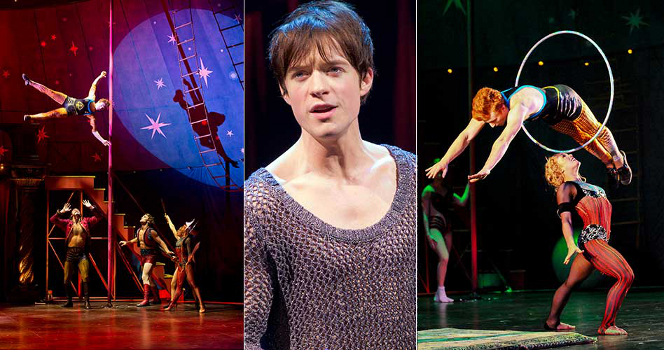 In Part 2 of this two-part series on themes in PIPPIN, we consider how his family influences him, why we are interested in and have empathy for his character, and what young adults can learn from his character and the musical. This is a musical with which teens can connect. Just like the Players in the musical influence Pippin’s life, his stereotypical family does as well. Charles, his father, is a figure of authority (the Emperor of the Holy Roman Empire). 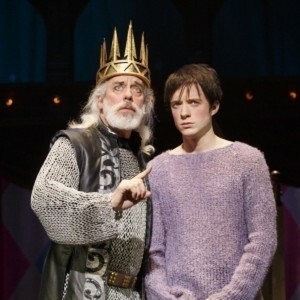 Pippin describes him as “the most powerful man in the world,” and feels as if he can never measure up to him. Fastrada is Pippin’s plotting step-mother. Fastrada is his evil step-mother who loves her own son, Lewis (Pippin’s half-brother), more than Pippin. (Lewis and Fastrada engage in an incestuous relationship that frightens Pippin.) 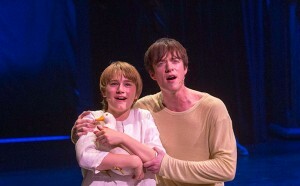 Lewis is the opposite of Pippin, and Pippin envies Lewis’ strength and confidence in battle as he believes that this is how Charles wants him to be. Pippin’s family comes from the players in the circus troupe, which makes them a part of the illusion that is negatively influencing Pippin’s life. If they are an illusion, Pippin is only imagining these atrocious images of his family, which means it is illusion and not reality that is influencing his choices. Pippin goes off to war. For example, Pippin makes the decision to assassinate his father, ending his reign so he can become king. 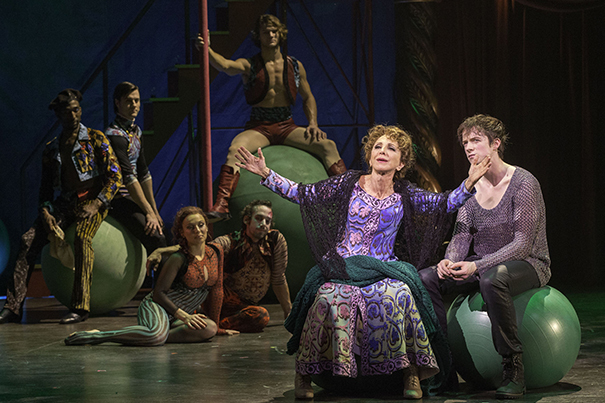 In Pippin’s mind, killing his father is the way he can “measure up” to his father and be extraordinary and brave. By killing him he can gain the respect and admiration he never received from his family. Yet, this action is the ultimate illusion as Pippin is able to take back the action and see his father come back to life and simply forgive him. 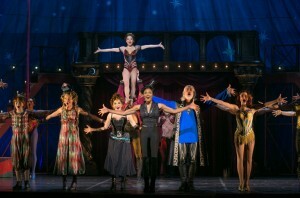 Pippin is a musical theatre character with which many audience members are able to connect. We see his faults in ourselves, and he is extremely ordinary for a character in a Broadway musical. We may not feel sorry for him as he is indeed a wealthy and educated man, and he is responsible for all the things that happen to him, but we can relate to his frustrations, disappointments and desires. We see in Pippin that same yearning for perfection and meaning in our own lives. Pippin thinks being king will be easy. Pippin acts just like an adolescent in the musical. In the beginning, he is rather selfish in his quest, as the majority of young people are. He does not understand that the journey should be as joyous as the attainment of his dreams. He does not think anybody else, not even Catherine, the woman who loves him, can understand what is wrong with him. His adolescent nature, searching and desire for greatness are characteristics that connect with teens. Pippin thinks being king will be easy, but he falls apart and fails when he has to face the realities and daunting responsibilities. Like many people today, he craves power, but is not able to handle the responsibility that goes along with it. We connect with the show on many levels. 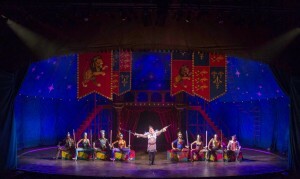 The themes in PIPPIN are vital for high-school-age students to understand because they are at a time in their lives when they need to make important life decisions. Yes, PIPPIN is indeed a dark, violent, and mature production, but young adults should be able to discuss it openly as it may help them understand aspects of their lives that they find confusing or troubling. Like Pippin, the audience takes everything literally and we forget the metaphorical and symbolic importance of the events that take place in the show. It is necessary for us to feel the depression and anger that Pippin feels. Without witnessing the gory details of the story, the audience will not understand why Pippin is contemplating suicide in the first place. It is essential for young adults to understand that they cannot blame failures or mistakes on anyone but themselves. The path to our dreams is a bumpy one, and mistakes will be made, but we need to acknowledge them and learn from them instead of wasting energy blaming others. Young adults can learn from Pippin that ultimately we are responsible for our own happiness. Today’s world allows us to make free choices regarding who we want to be and what we want to achieve, and we cannot allow friends and family to stand in the way, or allow society to tell us what we want. We have to make decisions based on what we want. Pippin proves to be extraordinary in the end by having the courage to make his own decisions and rebel against the Leading Player and her false illusion of fulfillment. 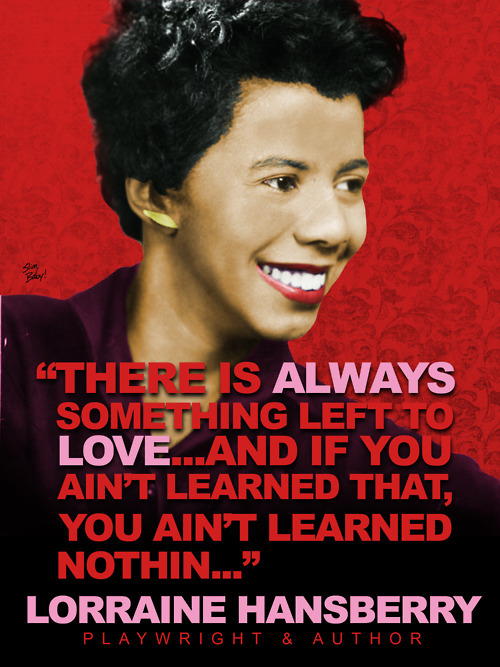 That’s a great life lesson.